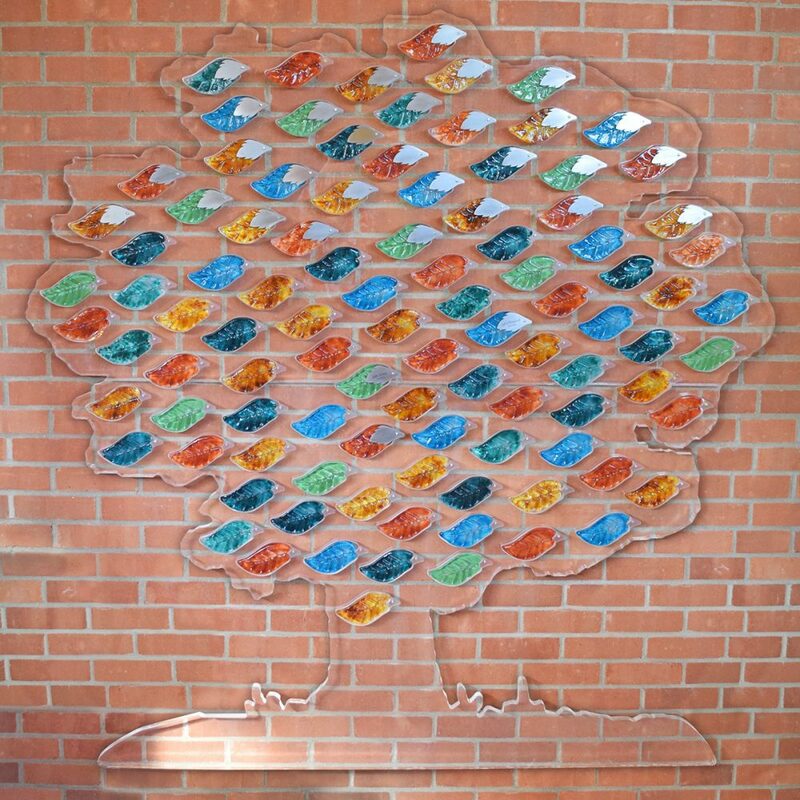 Dedicate a glass leaf in memory of a loved one on Rowcroft’s Memory Tree. Rowcroft would like to offer you a unique and meaningful way to remember your loved one, to commemorate their life or to mark a special occasion. The Memory Tree is situated in Rowcroft’s chapel at the hospice, which provides a tranquil place to sit, reflect and remember your loved one. 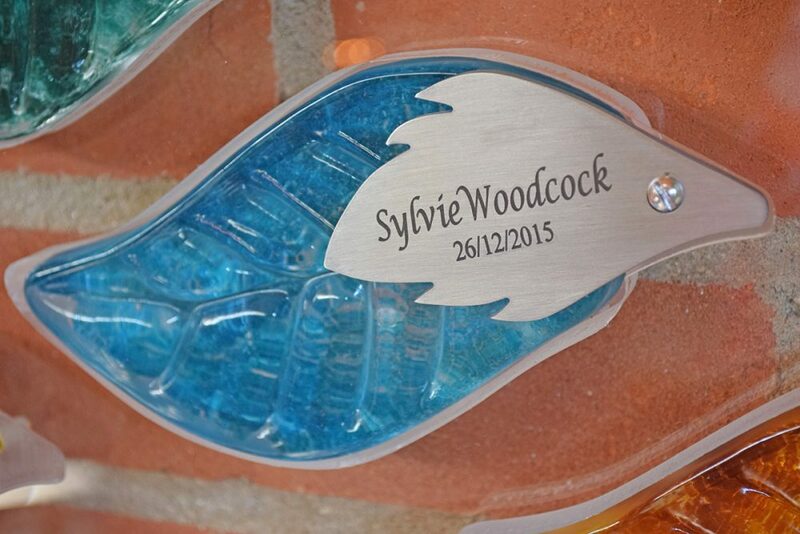 Dedicate a glass leaf in memory of someone you have loved and still love dearly – each leaf, individually hand moulded by Teign Valley Glass, is neatly secured to the tree by a stainless steel plaque, marked with your loved one’s name and a meaningful date, such as a birthday or an anniversary. Option one – Dedicate a leaf for a minimum monthly donation of £12.50 (for a full year) or your chosen amount. Option two – Dedicate a leaf for a year for a minimum suggested donation of £150 or your chosen amount. Your leaf will remain on the tree for a year. Prior to the 12 month anniversary of your dedication/donation, we will send you a letter inviting you to keep your leaf on the tree for another year; alternatively we will send your leaf to you in a special keepsake box. Your donation will help Rowcroft’s dedicated team to provide comfort, support, specialist care and advice to patients and their families, enabling them to share precious and joyful moments at a time when it’s needed most. We hope that the Memory Tree will help to raise £15k each year – this will help to fund bereavement support for people living across South Devon.